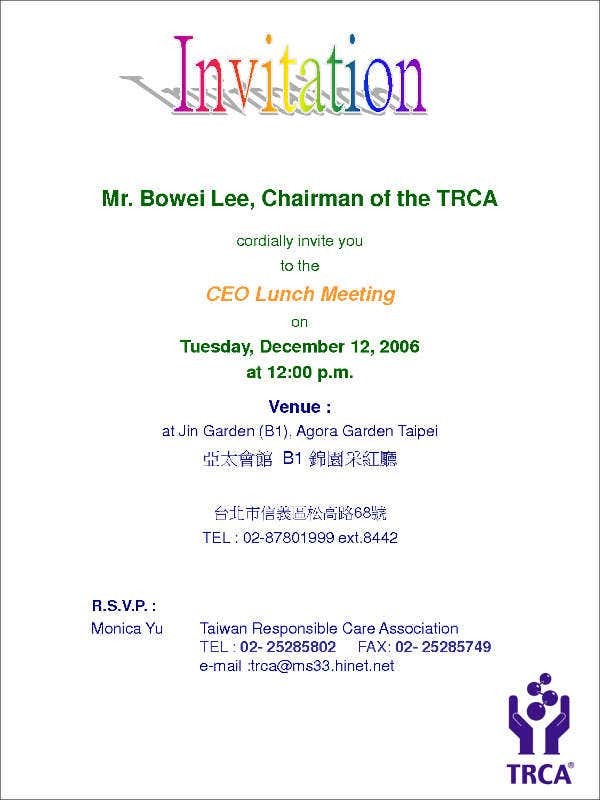 A meeting invitation is commonly used in the field of business and any other corporate transactions. 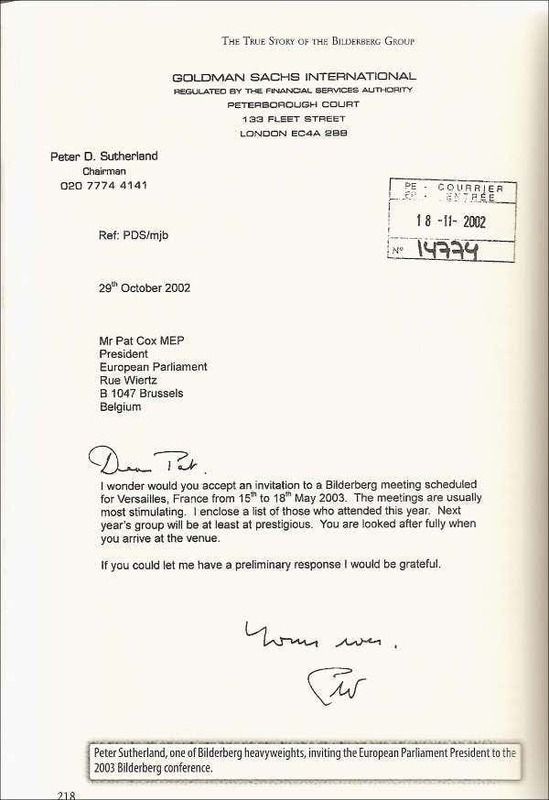 These kind of invitations are either because of a situation that is needed to be resolved or due to a new focus of discussion that can either be for the betterment of business operations or for additional projects and tasks that are needed to be done to assure the relative placement of the business in the market where it belongs. 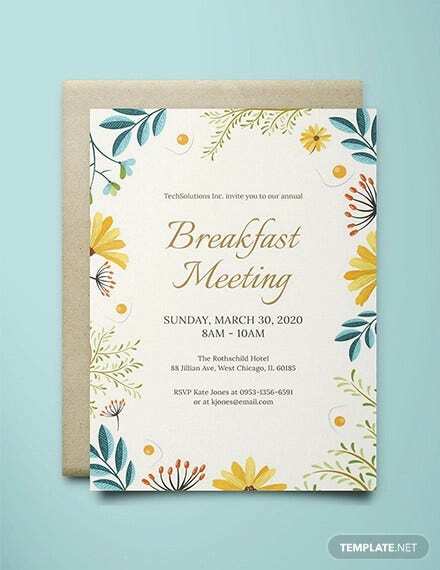 Meeting Invitations are vital to be given out a day or even a week before the wedding depending on the scope of the meeting discussion or the purpose on why the meeting invitation has to be made. 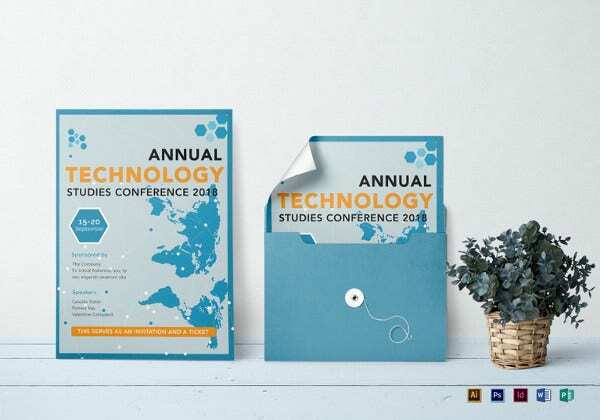 Compared to Invitation Flyers or any other kinds of invitations, meeting invitations and the designs incorporated in it are more formal, sleek, and professional looking. 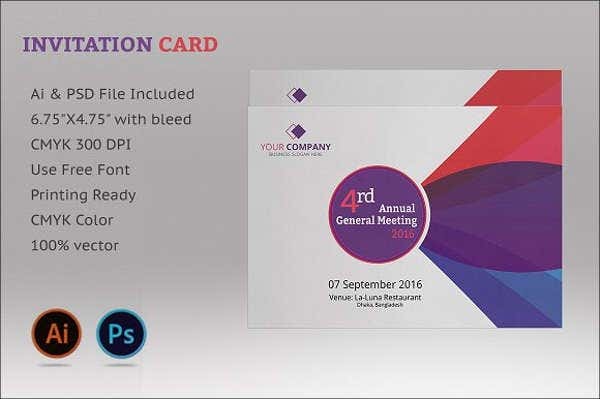 This is mostly for the reason that the expected receiver of meeting invitation designs are people that are employed in a business or those who are practicing their competencies in specific fields of expertise. 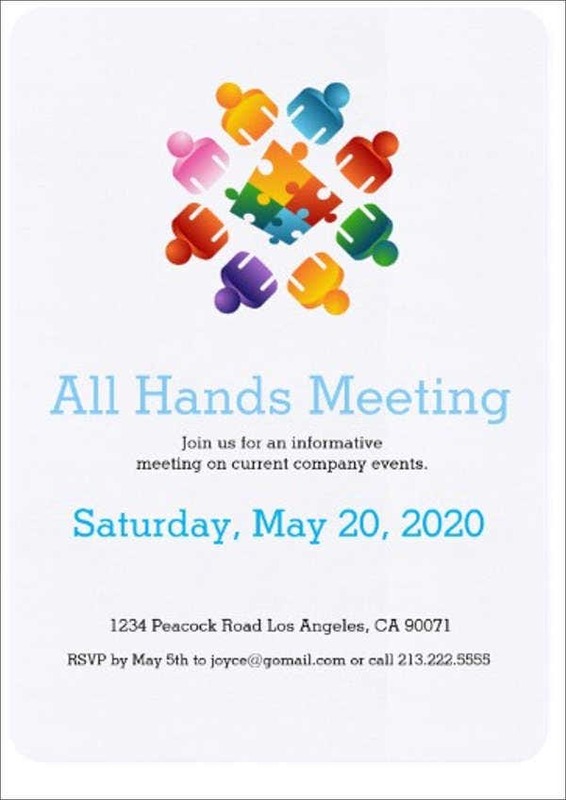 It can be a formal business meeting invitation that is given out to identified individuals who need to meet at a formal gathering to talk about particular subject matters that will be helpful either to the entire group or the businesses where they are involved in. It can also be a business meeting for members of a corporate association so that they can have a platform for further networking. This will allow them to talk to people whose work functions are related to theirs which will enable them to share and gather data usable in various business processes and procedures. 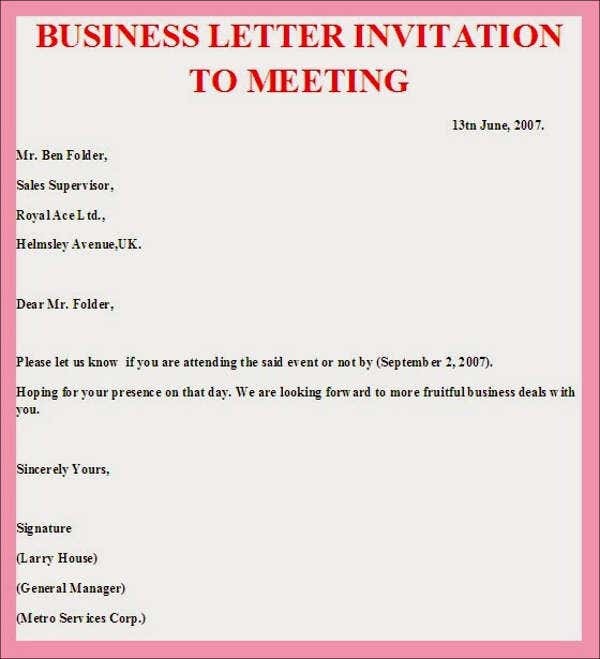 A business meeting invitation can also be a simple meeting of the company and is usually send through e-mail. 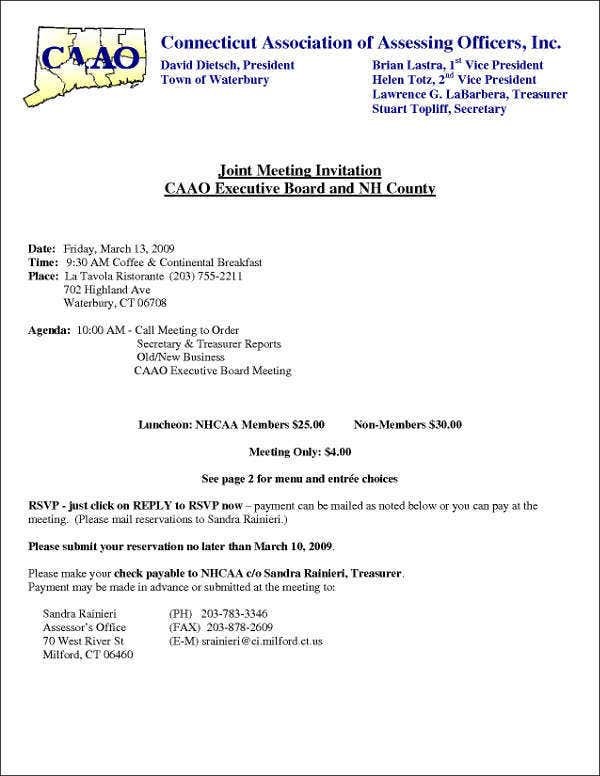 It includes the information regarding the reason for the e-mail invitation, the person who called the meeting, the employees who are requested to attend the meeting, the date and time of the meeting, and the agenda that the employees need to prepare for before attending the meeting. 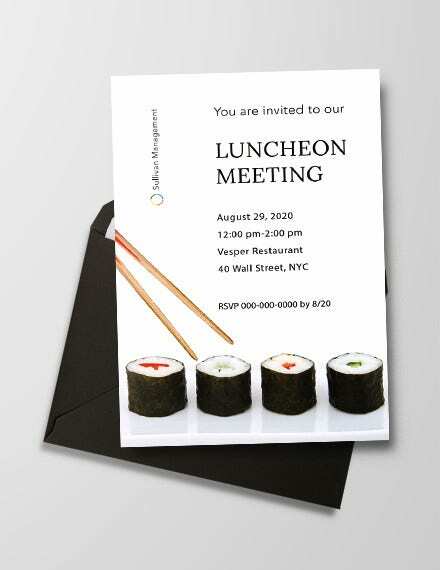 Business meeting invitations may also be used to ask for the presence of a person over lunch. These kinds of meetings are done in a relaxed environment so that people can think clearly about business transactions while eating together. This is very common for the upper management and people who need to decide accordingly as they have the power to change the procedures and other systems being followed by a company. 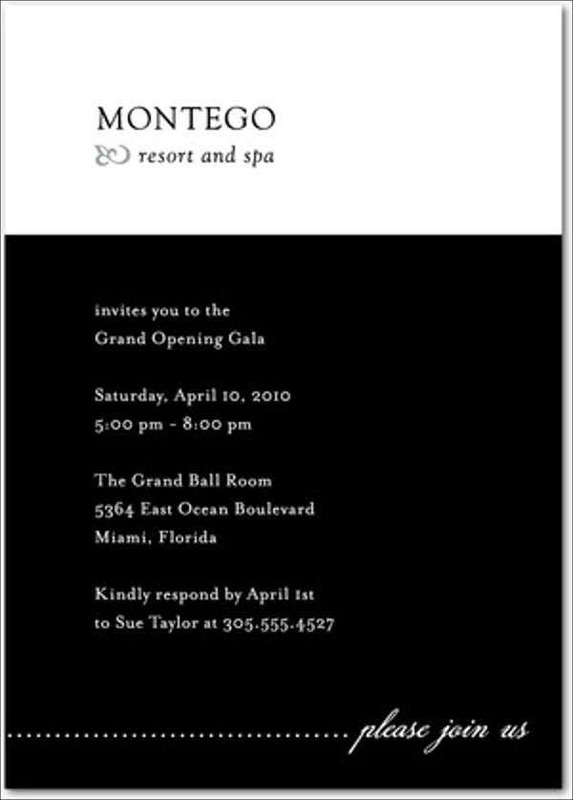 The design that is usually applied in business invitations are the templates that are used in the formal documents of the business. 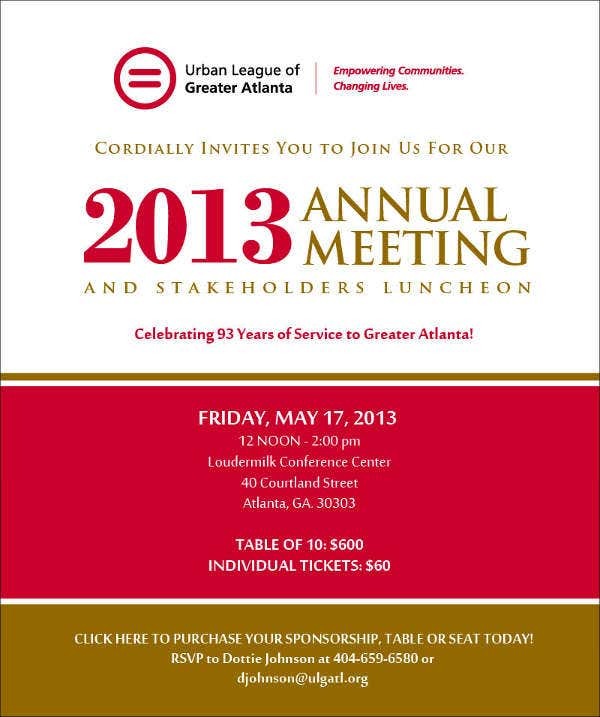 Aside from our samples of business meeting invitations, our Business Flyers are also available for download. 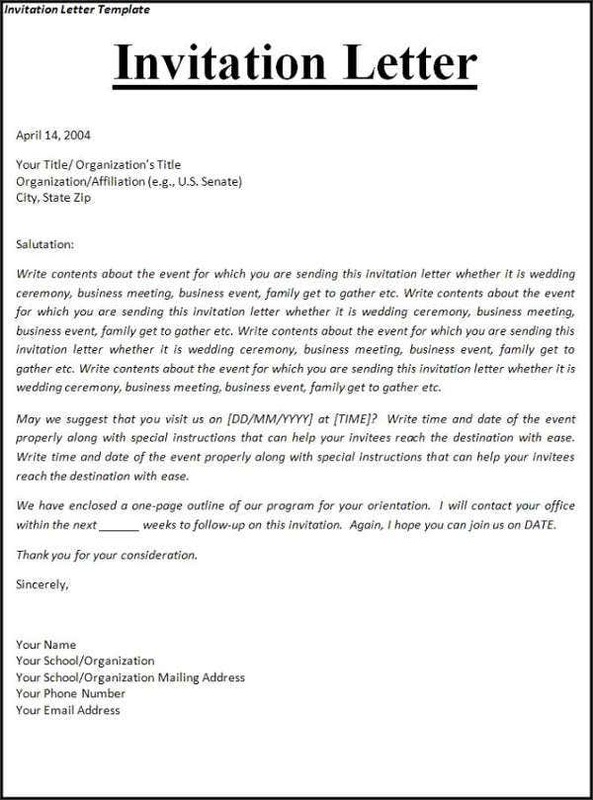 A formal meeting invitation differs from a business meeting invitation in a way that formal events where the invitation is made for do not necessarily need to be related to any business processes. It is just that these events are commonly formal in nature because of the activities that the invited guests need to do and the program being prepared by the host or the organizer of the formal event. 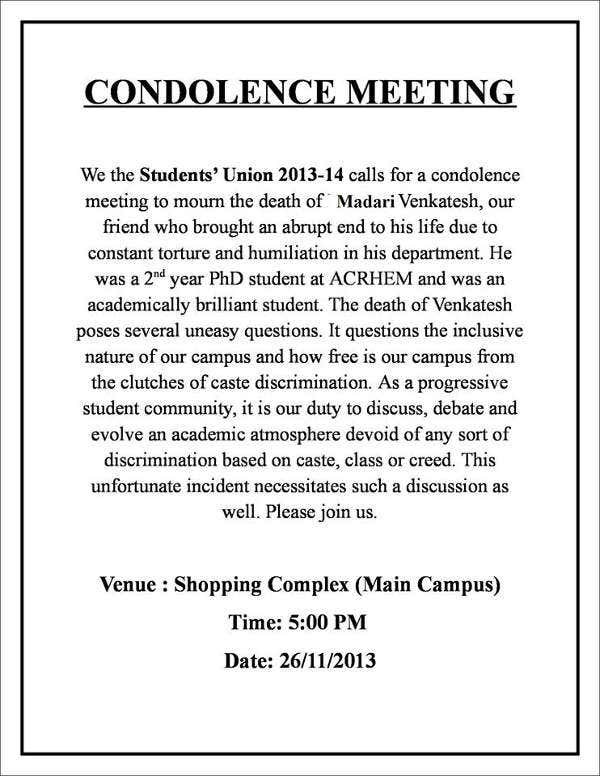 It should have the details of the group of people or any entity that are requested to be present in the event. 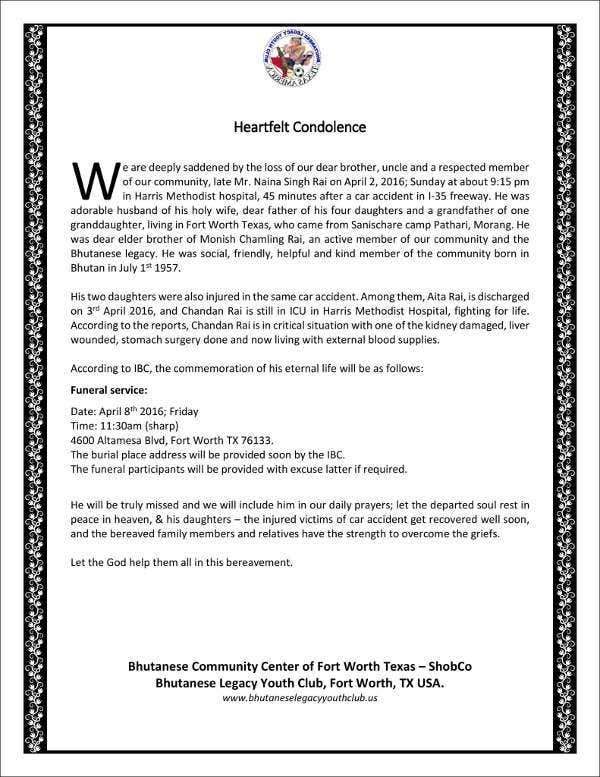 This will give a clear message of the kind of event that will be done and the reason why a specific individual has been invited related to his or her engagement to the group to whom the event is for. 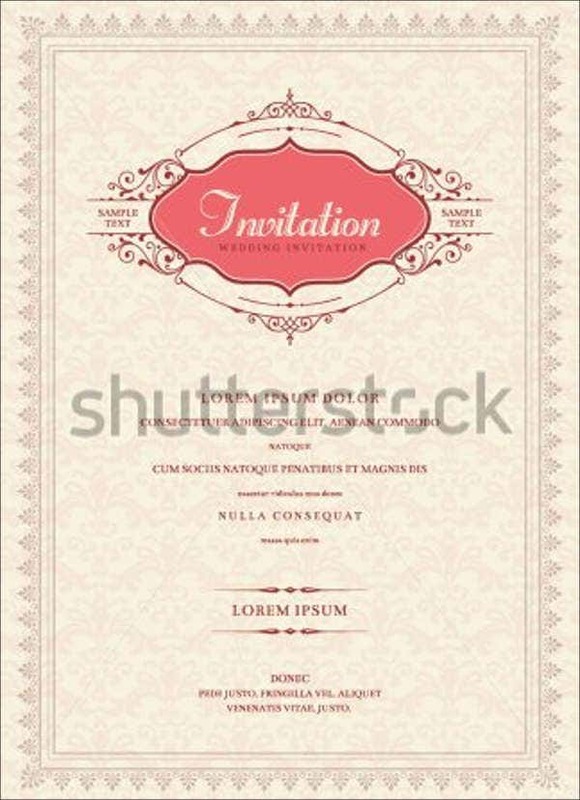 A formal meeting invitation should also have the details of the reason for the event. It should allow the invited guests to know the reasons why the event has to occur and the purpose that is needed to be implemented. This will also help them to properly ready themselves for the event and the happenings and instances that they may expect. It should have the details regarding the location of the event, the exact date and time that the event will take place, the time frames of the activities that are initially set and other information that will help the guests to reserve their schedules for the event that will happen. 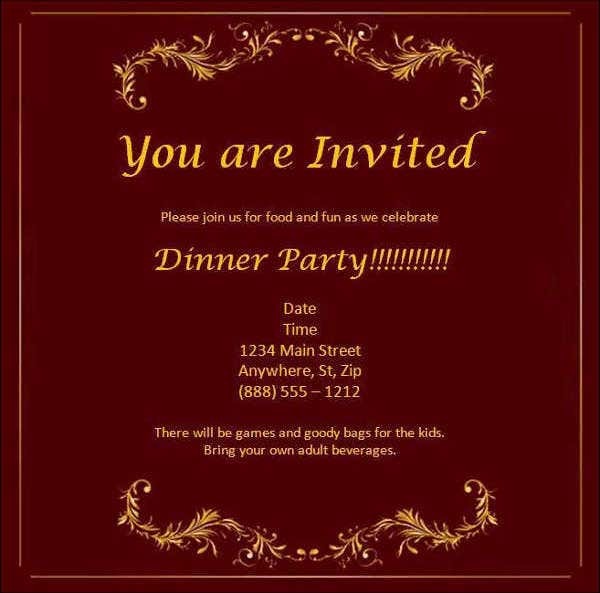 Moreover, a formal meeting invitation should have an RSVP or a confirmation deadline to assure that the guests are aware of the event and that they have already decided whether to go to the meeting or not. 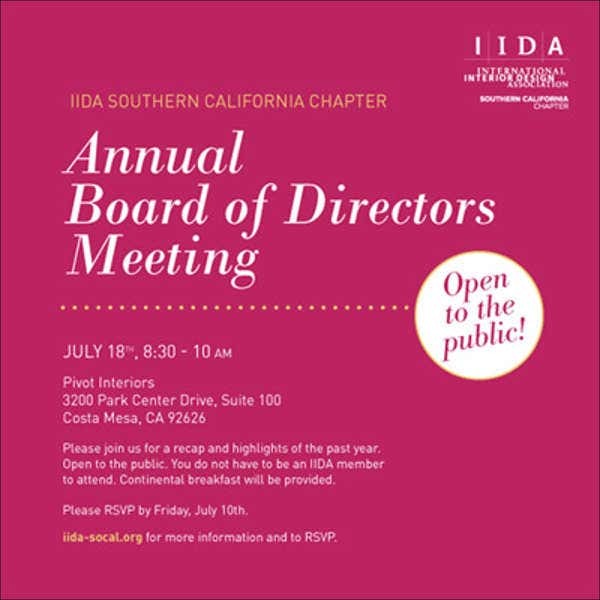 Formal meeting invitations may be designed accordingly depending on the purpose of the invitation and the kind of meeting that will be held. 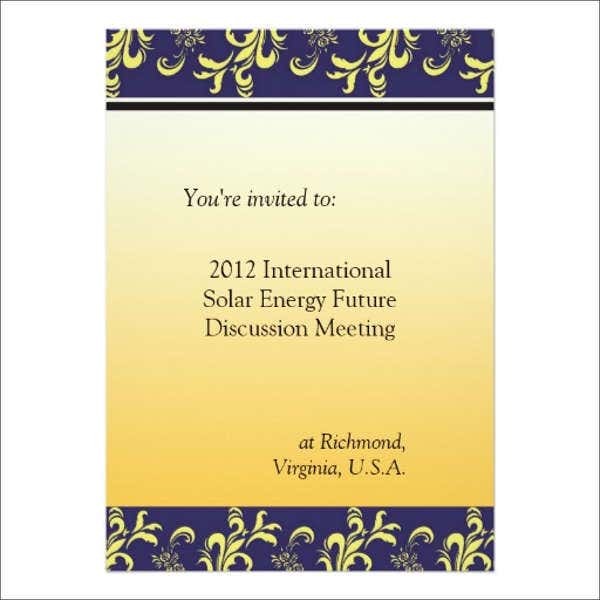 More samples of Meeting Invitation Templates can be browsed and downloaded in the link provided. 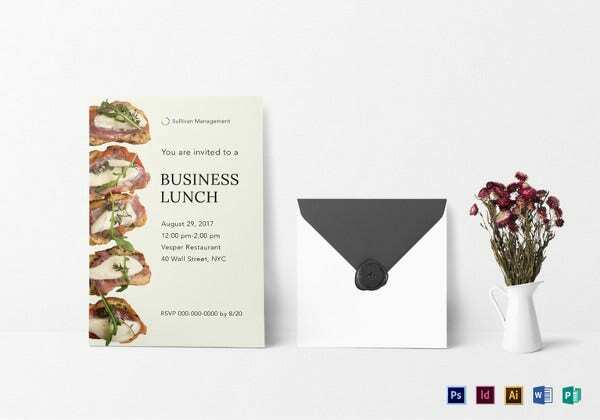 Lunch or dinner meeting invitations are meetings that are done during a luncheon, a feast, or a basic lunch or dinner setup. 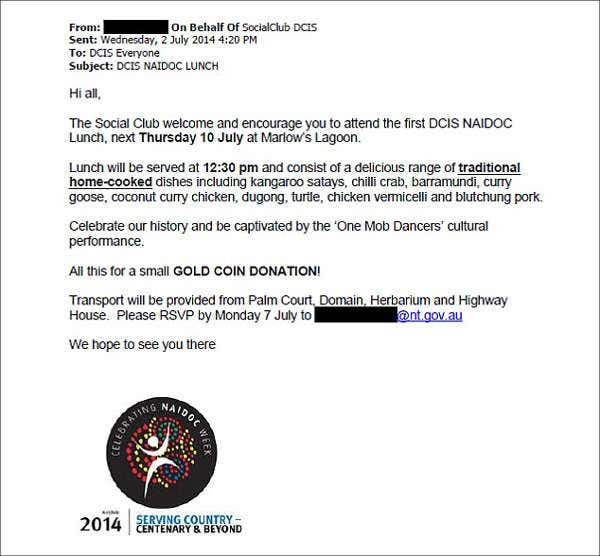 As stated above, lunch and dinner meetings are usually done for business transactions that can be talked about over food due to the subject of the discussion and the ambiance that the information exchange needs to have. 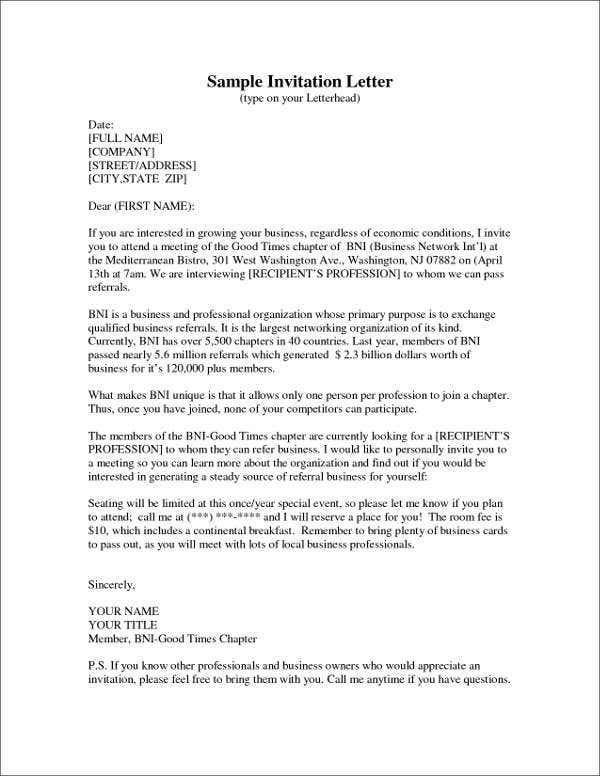 Competitor discussion meeting invitations are given to the employees of the business, especially those who are assigned on the sales and marketing department so that they can talk about the condition of the company when compared to the competitors of the business. This meeting usually require presentations of studies, actual figures, and comparisons to make sure that the data being presented by particular people are accurate. 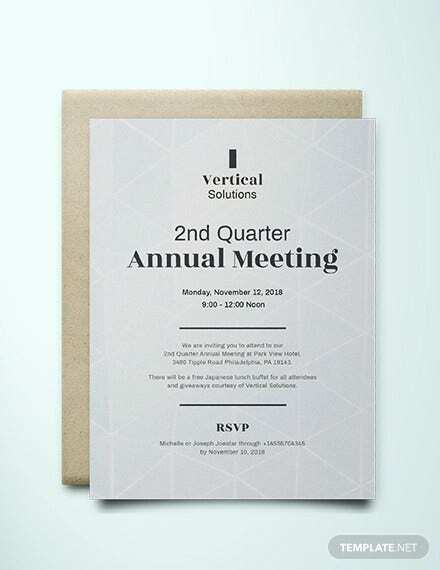 Regular meeting invitations are sent out in specific periods of time which can either be weekly, monthly, quarterly, bi-annually, or annually. 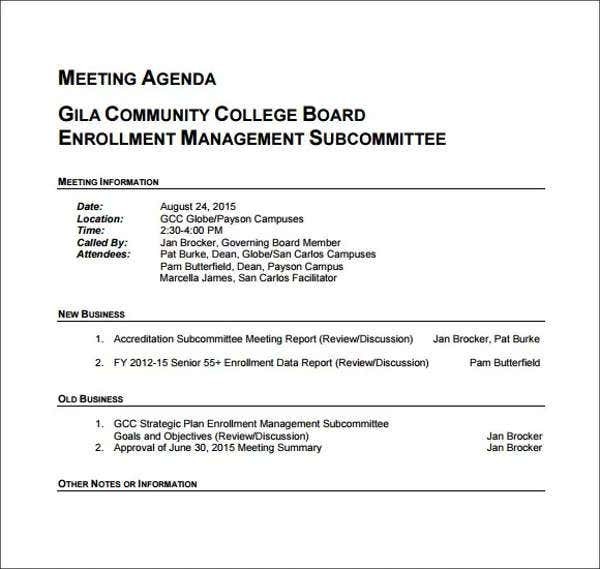 Since there are different concerns that may arise in these time duration, there are also a variety of groups and people that are requested to attend on specific regular meetings. 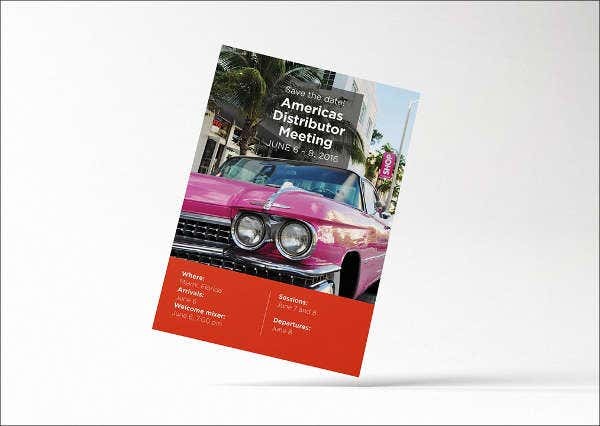 Agenda creation meeting invitations are usually given to high officials of the company as it is concerned mostly with the things that the company needs to achieve in its next operational year. It allows people to create goals, objectives, and plans to assure that the set targets will be hit and achieved. 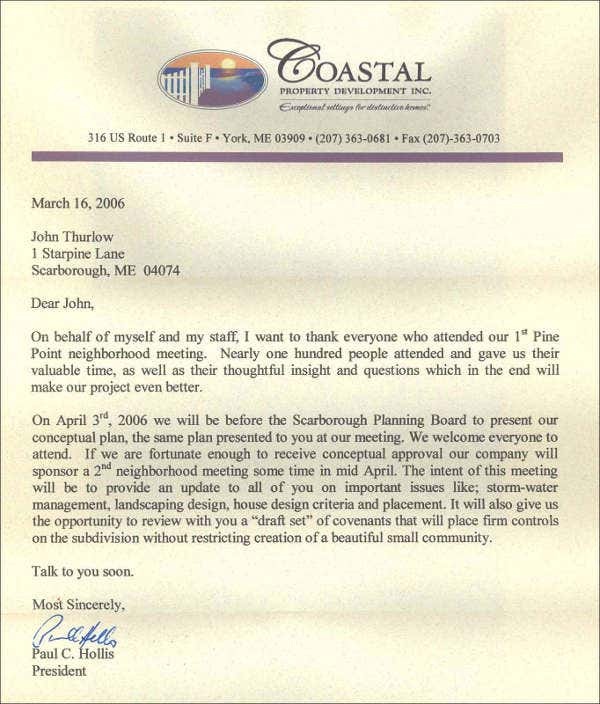 Sales meeting invitations, as it is, provide information about the meeting that will be held regarding the sales activities of the company. Sales managers, supervisors, agents, and other important members of the company and the board need to attend this meeting so that they can share the results of the sales activities of the business and how it affects the monetary trend and cycle being implemented in the entire and daily operations of the business. 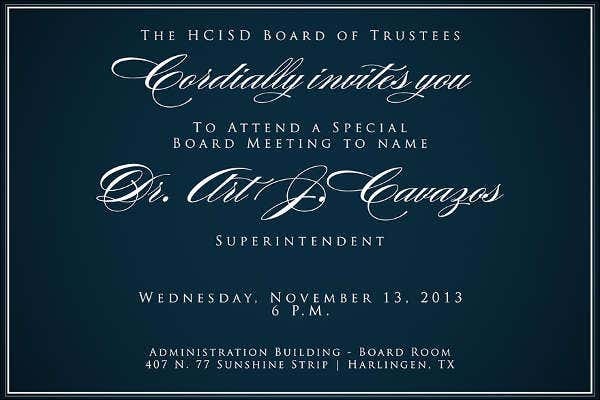 Board members meeting invitations can also be considered as regular meeting invitations. 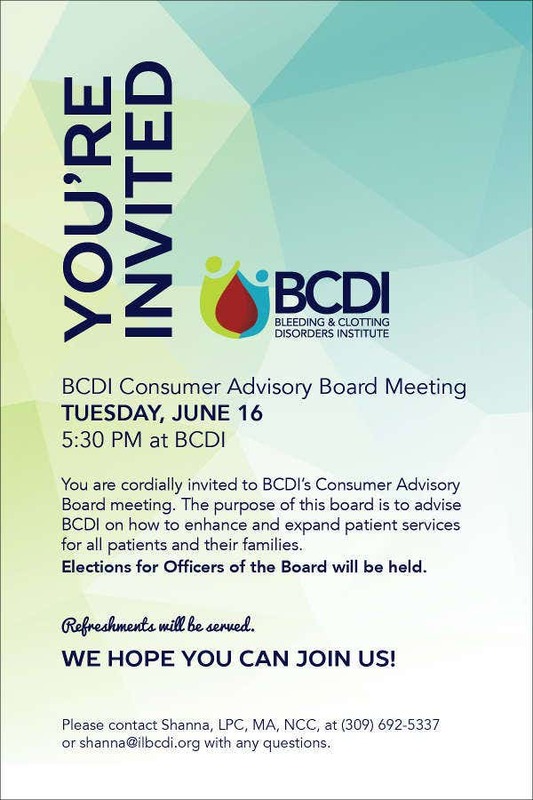 However, there is only a set of people who are involved on the board of the company that are invited to this meeting. It usually talks about the plans of the business in the next operational year and the items that they need to resolve first before creating new plans for the growth of the company. 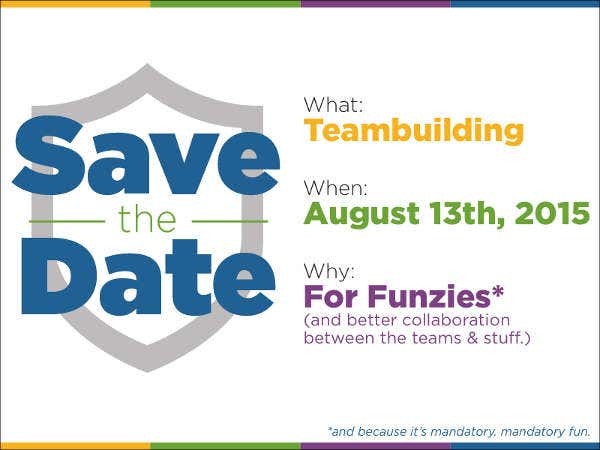 Employees meeting invitations are the invitations that sent either to all the departments or the employees assigned to a specific company division. Meetings where these invitations are for talk about the improvements that are needed to be done in terms of daily operations and the expectations of the business owners and officials regarding the performance of the employees of the company. 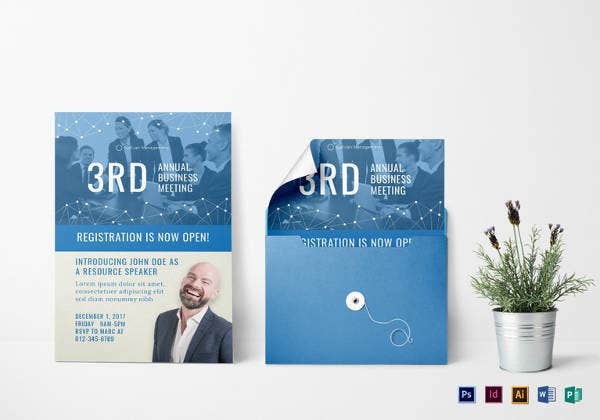 Designing these kinds of meeting invitations already depend on the head of the meeting or the common design that is being applied by the person who is creating the specific meeting invitation. 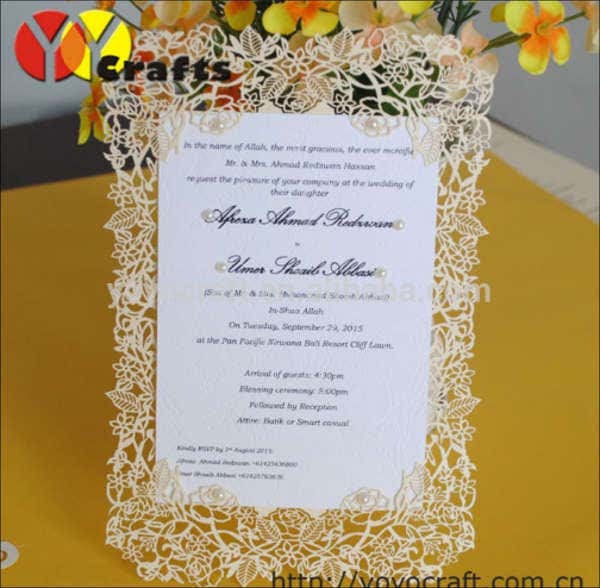 Other than our meeting invitation samples, our templates of Invitation Cards and Housewarming Party Invitations are also available for download. 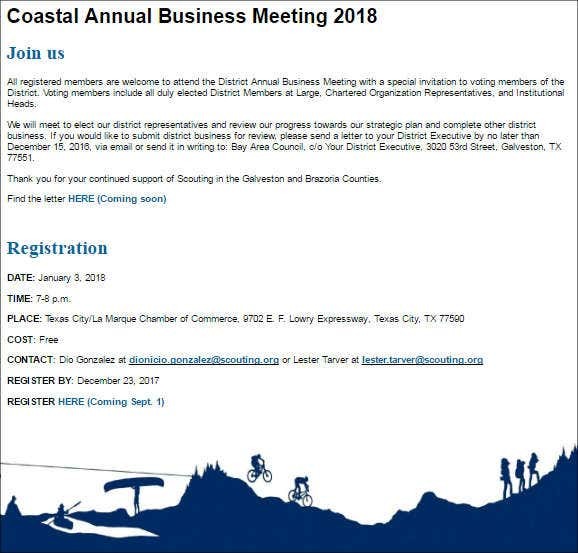 Meeting invitations are sent out to assure that the people who are requested to attend the meeting are aware of what the meeting is for and the details that they need to know for them to be fully functional during the meeting. 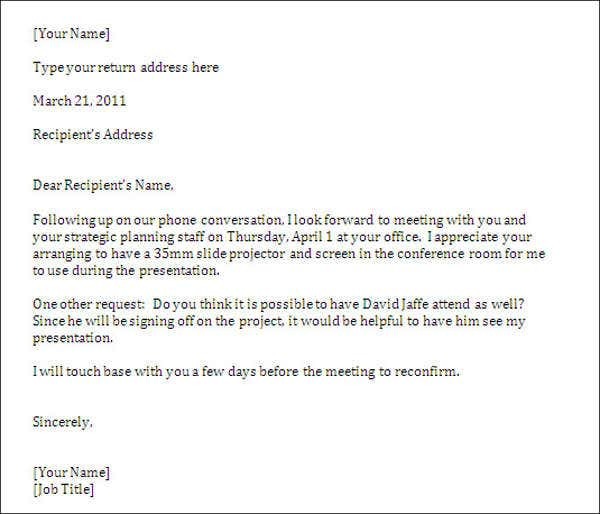 A meeting invitation should always provide the needed information and items of discussion. 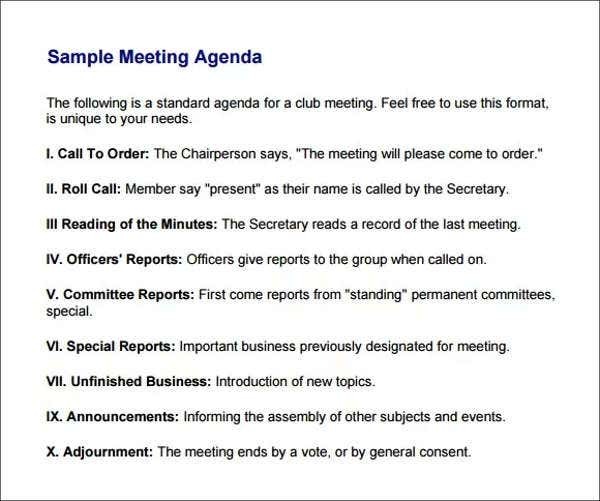 A meeting invitation can be for the purpose of assuring that all the items that have been talked about during a previous meeting has already been resolved or implemented. 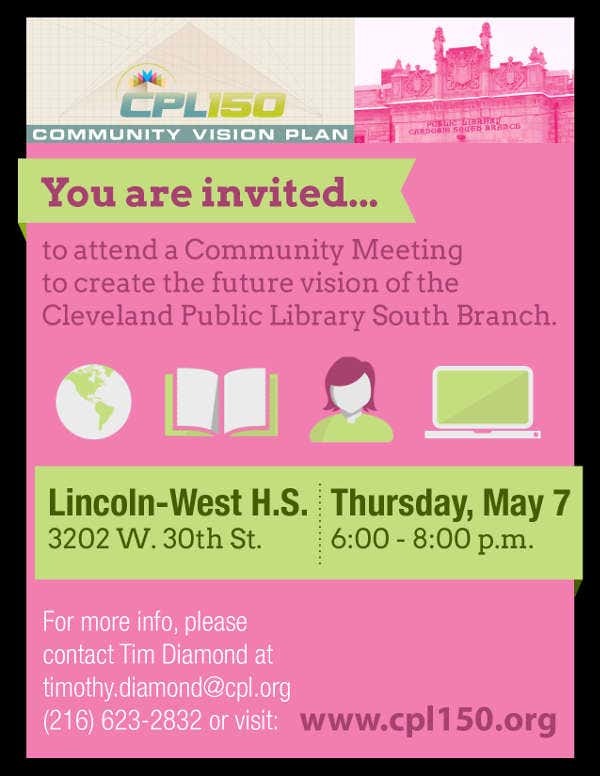 This can be a way of a follow-up to make sure that the phase of improvements and developments are being tracked and applied. 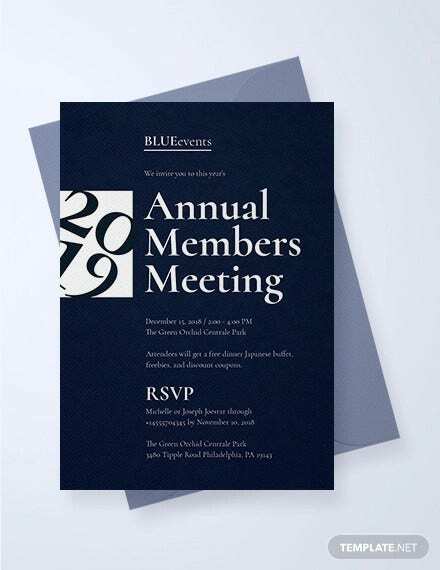 Meeting invitations can also be used to gather people who can provide their suggestions and ideas that are useful for the planning processes of the business. They can serve additional values that can contribute to the success of the plan creation for the next activities and programs that the business will host and/or organize. 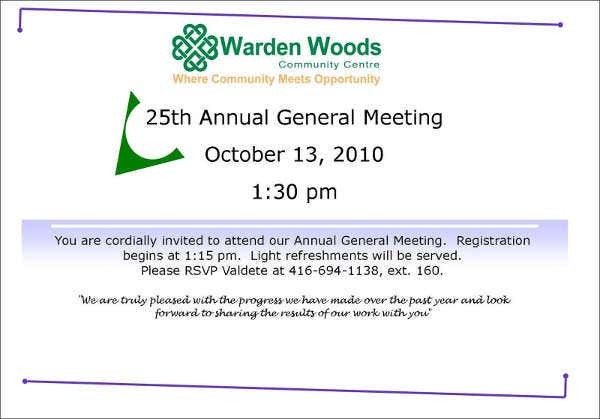 Meeting invitations are usually sent to give information about the new focus of discussion or new subject matters that the expected attendees of the meeting need to immerse their selves in. 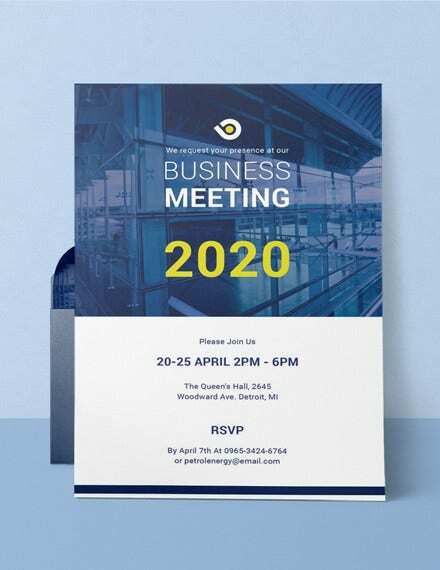 Sending a meeting invitation may also be because of the challenges and obstacles that the business is currently facing in its operations and there is already a need to create measures so that the impact of these challenges will not fully affect the entire business operations. 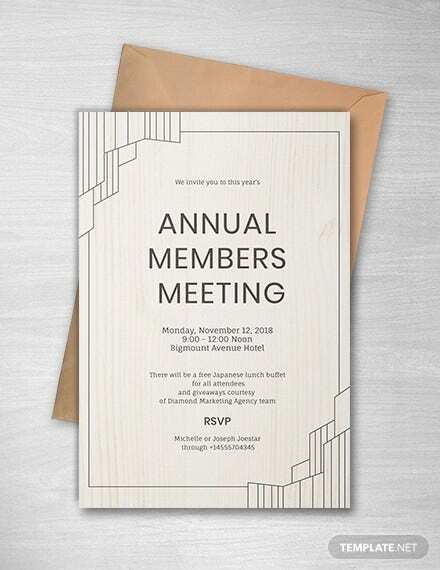 Other than our samples of meeting invitation design templates, you may also be interested to browse through and download our samples of Annual Dinner Invitations and Meeting Letter Templates.